BERLIN -- Volkswagen AG, Europe's largest truckmaker, secured a majority in MAN SE after more shareholders than expected accepted a takeover bid. VW will own 55.9 percent of the MAN's voting rights after the deal closes, the Wolfsburg-based company said in a statement. The stake is larger than the 40 percent that VW initially sought when it started the bid in May. Europe's biggest carmaker triggered a mandatory bid for MAN by raising its stake on May 9 to 30.5 percent from 29.9 percent to pave the way for closer cooperation between the German truckmaker and its Swedish rival Scania AB, a unit of VW. The German carmaker estimates that a three-way truck alliance may save as much as 1 billion euros ($1.45 billion) in annual costs including purchasing and development outlays. "Volkswagen is more than pleased with the result" of the tender, CEO Martin Winterkorn said in the statement. As a result of the higher stake, the goal of integrating MAN, Scania and its own commercial vehicle operations is "moving closer," he said. 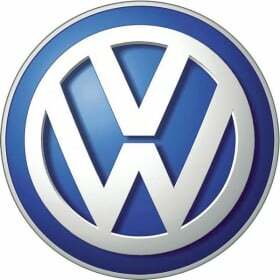 Shareholders took the offer after MAN's share price declined below VW's price in the final days of the tender, which ended on June 29. The stock was above the 95-euro bid when the tender started on May 31. MAN fell to as low as 91.82 euros on June 28. Ferdinand Piech, who is chairman of both VW and MAN, is pushing the Munich-based truckmaker and Scania to reduce spending as he also pursues a merger with Porsche Automobil Holding SE and seeks to surpass Toyota Motor Corp. as the world's biggest automaker by 2018.